*For beach wheelchair rentals on 30A, please visit Beach Wheelchair Rentals online! Blue Mountain Beach is a mostly residential portion of 30A. The name comes not from the water or the sand, but the high elevation of the land, sometimes reaching a point high enough for a sensational landscape view of the area! As stunning as Dune Allen, the beach does not disappoint, with the same white-sand and emerald waters that made beaches on 30A famous. Blue Mountain Beach also seems to be a favorite among visiting celebrities, with such names as politician Mike Huckabee and chef Emeril Lagasse owning homes in this beach community. *Find out what other celebrities live in the Santa Rosa Beach area by checking our blog, Guess Which Celebrities Vacation in Destin, Florida! Grayton Beach is just the beginning of central beaches on 30A. Shops, restaurants, and beach bungalow homes are the big draw. Boutique shopping is all the rage in Grayton Beach, and with famous eateries like AJ's Grayton Beach, so is the dining! Locals here flock to Grayton Beach for the best live entertainment and nightlife. If you're looking for 30A live music, it won't take long to find (or hear) it on the streets of this popular community. Beaches are large and sugary-white, with the occasional pup or pickup truck (it's legal in Grayton Beach with a permit). The resort community of Watercolor has grown into an entire beach community featuring southern nature and hospitality at its finest! Golf, bike, or rent a paddleboard and ease your way into the many inlets and creeks of the 30A area. Watercolor Inn & Resort is of course a world-class resort, with lodging options for a family getaway, romantic rendezvous, or a major event like a wedding or reunion. 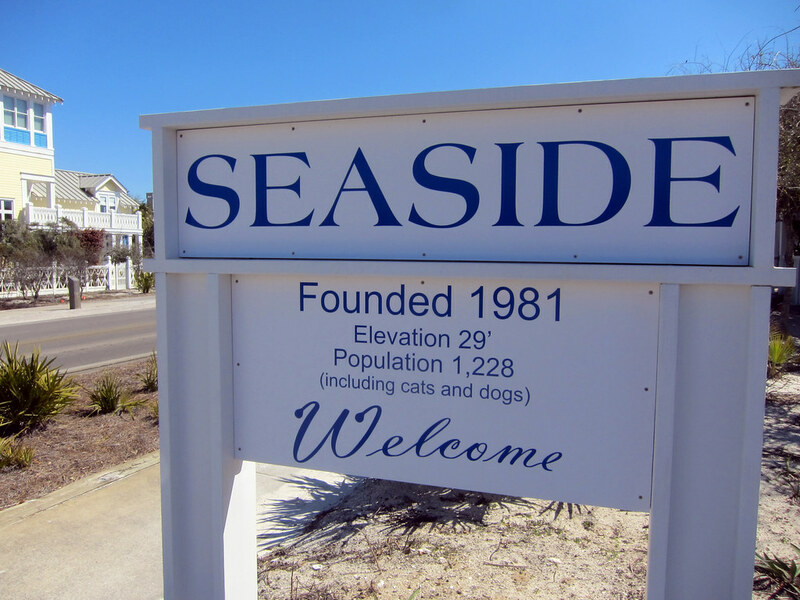 Founded in 1979, Seaside has grown into one of the most picturesque beach communities on the Coast! Touted as having some of the best 30A beaches, Seaside's too-good-to-be-true style and layout is featured in the blockbuster film "The Truman Show!" Seaside, Florida, is known far and wide for a friendly family atmosphere reminiscent of mid 20th century America! With a twist of modern flair, Seaside is known for deliciously different eateries including a food truck park in the center of the Seaside town square serving up BBQ, Asian Cuisine, and fresh juices. Countless residential neighborhoods are clean and pristine, a prime example of coastal southern living at its best! Looking for fun and unique 30a things to do for the kids? Check out the 30A Kids Watersports Camp, a day camp featuring surfing, kayaking, and paddleboarding under the supervision of adult watersport experts! One of the more historic towns on 30A, Seagrove was founded in 1949. Shrouded in wilderness, Seagrove is a community that lives very closely with nature. Located off the popular Highway 395 and 30A, Seagrove is considered a highly residential area, with few shops and restaurants. The few places there are to eat and shop, and magnificent. 723 Whiskey Bravo is a local favorite, and has been admired publicly by local celebrity resident Emeril Lagasse. Getting closer to the east end of the beaches on 30A, Rosemary Beach offers a quiet and peaceful escape from everyday life! Private neighborhoods with grandiose estates are commonplace in this sleepy beach town. The Merchants of Rosemary Beach offer a collection of clothing boutiques, art galleries, book stores and more! Are you prepared for a rainy day on 30A? Make sure you don't miss out on any of the fun in South Walton with 7 Rainy Day Activities for your 30A Vacation!